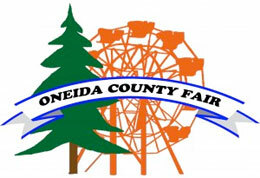 Oneida Fair hosted five trials on Saturday for the Oneida County Fair Futurity. MALAD CITY, ID�AUGUST 6, 2016�Royal Vista Stallions dominated trials for the Oneida County Fair Futurity on Saturday, siring three of the eight finalists including second fastest qualifier Duck Dash N Go. The eight fastest qualifiers, from 30 head who competed in five trials on Saturday, will return to the Oneida Fair racetrack on Sunday, August 14th to vie for the winner's share of a $10,000-added purse going 300 yards. Duck N Dash Go destroyed the field with a three-length winning effort in the first trial to set the second fastest time of :15.390 seconds, a 99-speed index. It was the third win four starts for the CORONAS FAST DASH filly owned by Vicente Treyes. The first of two finalists saddled by trainer Monty Arrossa, Eric Alaya rode the Oklahoma-bred from the Tour de Kas mare Duck Mea Running. Bobby D. Cox is the breeder. IVORY JAMES was the only sire with multiple qualifiers getting 5th fastest Ivory Cowboy and 6th fastest Cm Partners In Crime. Ivory Cowboy posted a three-quarter-length win in the second trial while completing the 300 yards in :15.463 seconds. Jorge Garfias trains the colt out of Saint La Petit (TB), by Saint Ballado (TB), for owner Aron Sanez. James Ronald Magnon bred Ivory Cowboy in Oklahoma. Oscar Cervantes was up. Cm Partners In Crime won the second trial by one-length while clocking a :15.494 time under jockey Jose Figueroa. Garth Blatter trains the homebred for owner/breeder Randy Dickerson. The IVORY JAMES Idaho-bred filly is out of Special Star, by Strawfly Special. For the complete list of Oneida Fair Board Futurity finalists, their times, sires, dams, owners, breeders, trainers and jockeys CLICK HERE.